June 7th, 2016 marked a big day for our students and all of us here with the AYA Project: it was the official release date for our first album. 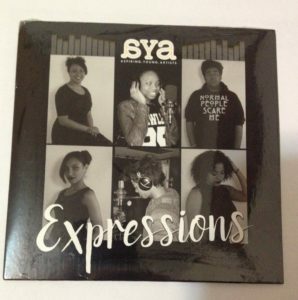 Featuring students from Kensington CAPA High School, the album is called Expressions…and while we are still waiting to get our photos in from the Album Release Party at the school, we can start by saying that it was an incredible night for everyone involved. 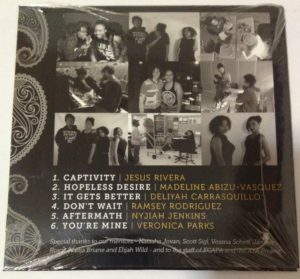 Students performed their songs live for an audience of family, friends, mentors and teachers, and each took home copies of the album for their personal use or distribution. This album stands as a testament to the amazing courage and hard work of these students, the dedication and support of their mentors, and the genuine love and care that has gone into this project from Day 1. If you’d like to hear what we accomplished, visit our SoundCloud (you can search AYA Project Philadelphia) or be in touch about receiving an official copy.